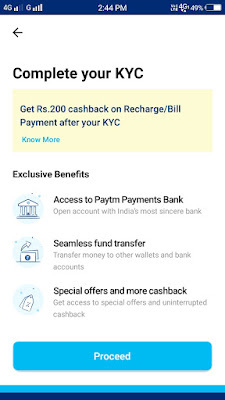 Paytm is a leading online shopping website apart from shopping it is also provides some services like mobile recharges, UPI Transactions, Free bank transactions, free wallet transactions, movie ticket bookings and flight ticket bookings etc., Paytm also giving some cash back offers for its new and old users that's why Paytm gets more populated. 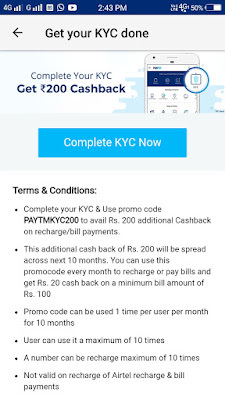 In this post we provided the complete procedure of How to complete Paytm KYC? 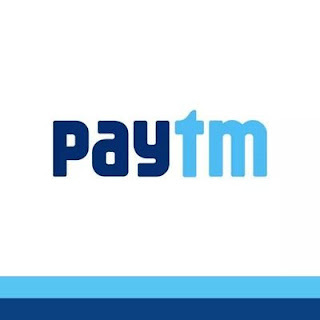 Now Signup / Sign in to Paytm. Click on smiley symbol at top right corner. 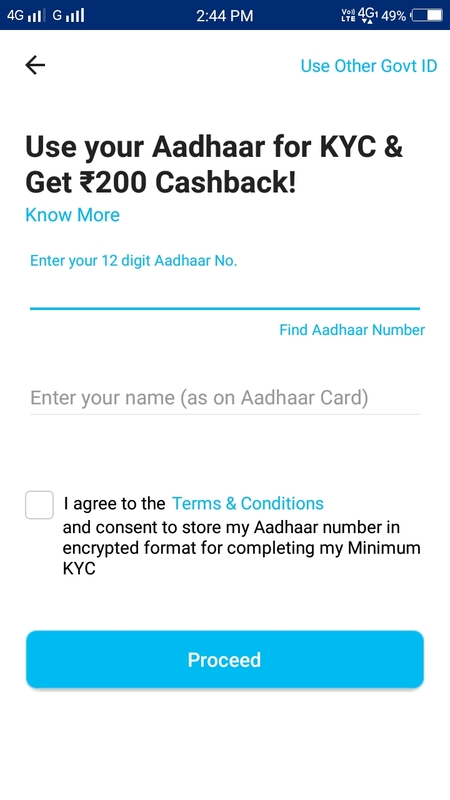 Click on Complete KYC Now. 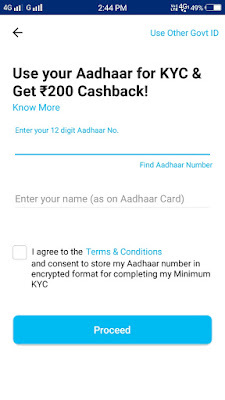 Enter your 12 digit Aadhaar No. and enter your name as on Aadhaar card (If you don't have Aadhaar Number click on Use Other Govt Id at the top right corner select a document to proceed). Now, tick I agree Terms & Conditions and finally click on proceed. Now search your near by KYC centers and then visit the center Place your finger at there. Enough!! 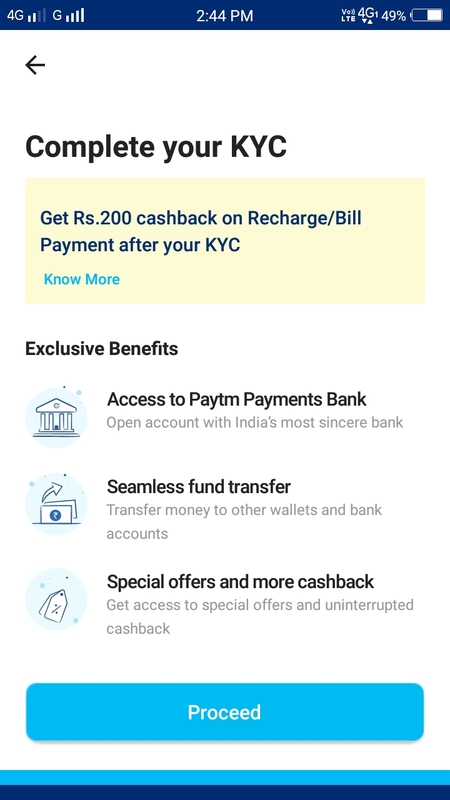 You are successfully completed your Paytm KYC along with Paytm Payment bank. To get your Paytm digital debit card set pass code and then add some amount to your paytm payments bank use it for online transactions. 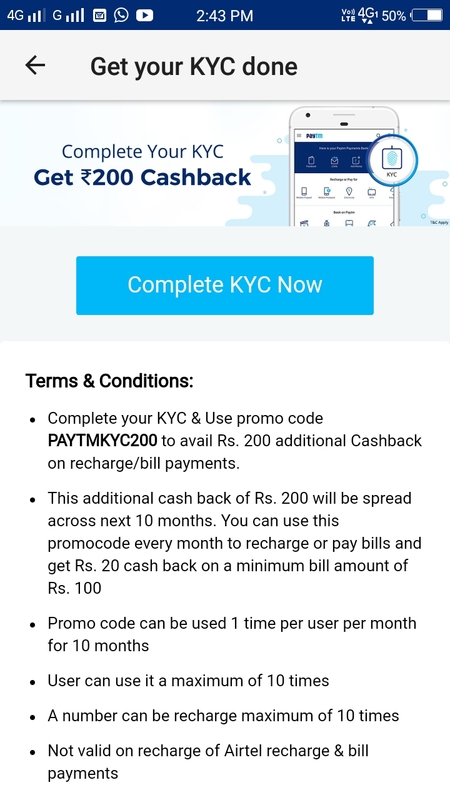 This post is about How to complete Paytm KYC?. Follow the above steps carefully. If you have any quires leave a comment below.